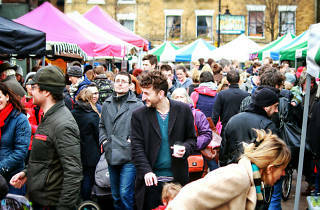 A lovely Sunday afternoon market in a quietly charming south London neighbourhood. FANTASTIC market. Unexpected Sunday treat great stalls wonderful fresh produce and friendly stall holders.lovely vibe! Everywhere should have a little local market like this. Local, independent products with real people and it has the most wonderful atmosphere! Happening and buzzy Sunday shopping locale. Great mix of vendors with great quality food and gifts. Definitely worth a visit. Not just delicious fresh home made food, but fantastic choice of various products for everybody; from clothing to jewellery to vintage to kid's stuff to little gifts to selected pieces of furniture. Small, friendly, day out thing. Its welcoming feel is more like visiting somebody's home, rather than a market. Great place to shop for quality food, drink & much more! Brilliant variety of top quality stalls, always something fantastic to see, try or buy. And such very friendly stallholders. 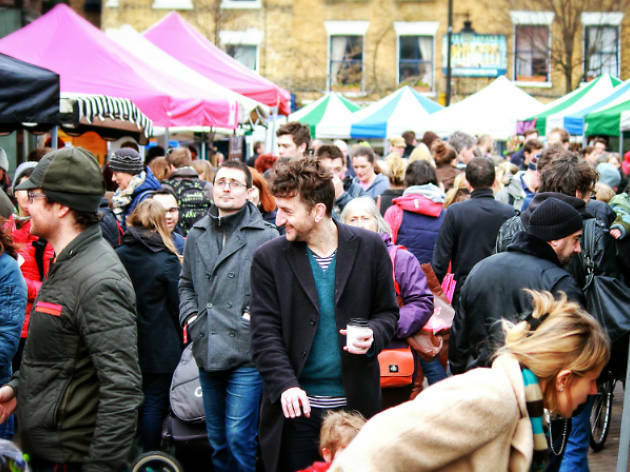 This market has created a real community in Herne Hill, it's brought everyone together to eat delicious fresh food! They have my vote!